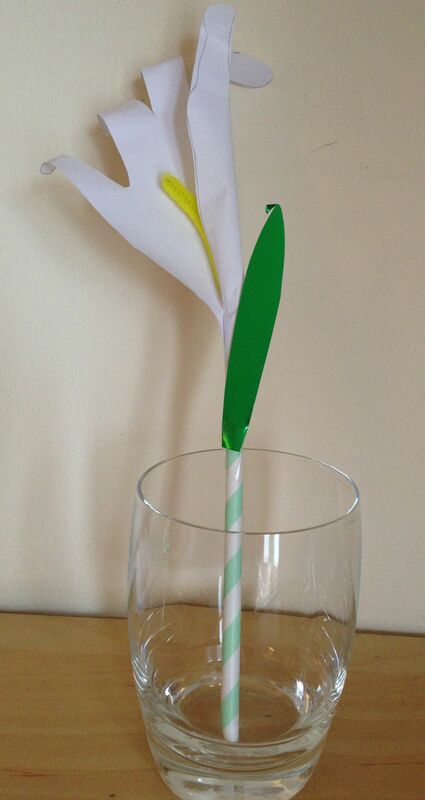 It’s Mothers Day and I have a lovely easy craft to share with you which is perfect for little hands – let me know if you try it for yourselves! First trace around your child’s hand on a sheet of white paper. My toddler adores using his hands in crafts and this really made him giggle for some reason. We drew around his hand four times and then I cut them out. 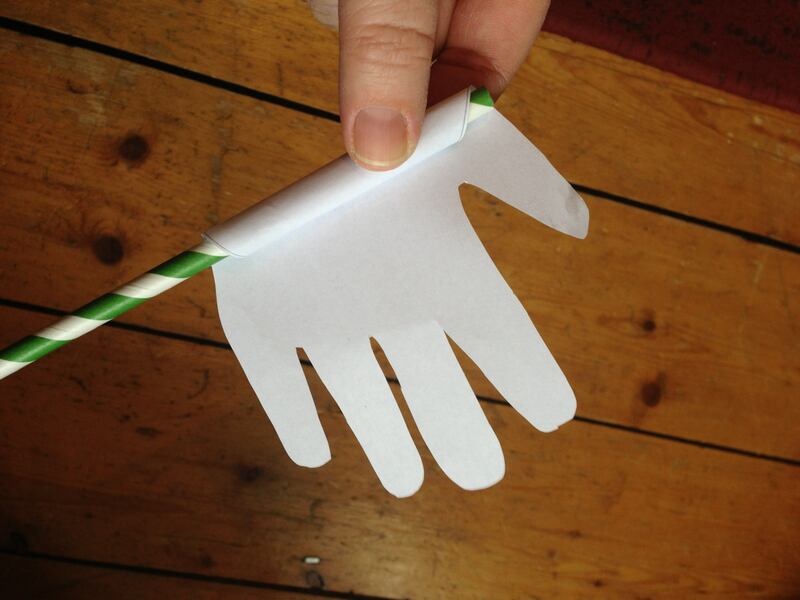 Carefully curl the top of the paper hand around a straw, then fix the bottom of the hand to a straw using sticky tape. 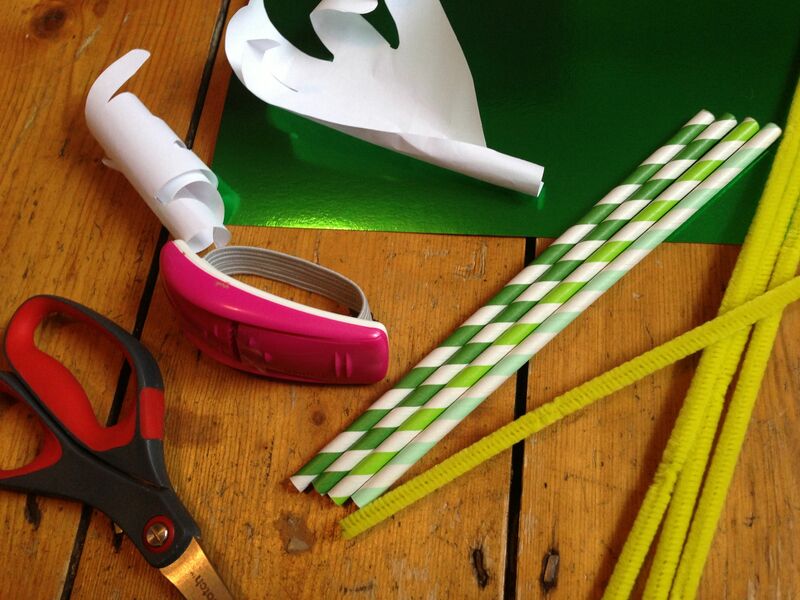 Cut a leaf from the sheet of green paper and fix to the straw beneath the hand using sticky tape. Then cut a small piece of yellow pipe cleaner and fold in half. Insert into the top of the straw and slightly curl the ends. That’s it! Make a bunch, arrange in a glass and admire your sweet flowers. Wow! Those are super cute and look great. What a wonderful idea. I love this! Will definitely try out with the toddler! I LOVE this – a great idea, so simple to make and a fantastic thing to keep. Very cute. Pinned to my Easy Crafts board. 15 Homemade Mother's Day Gift that Kids Can Make!